India’s first electric taxi project will be launched in Nagpur on May 24 by Road Transport and Highways Minister Nitin Gadkar; Mahindra and Mahindra Ltd will be providing 200 taxis for the project. The project will be undertaken by Nagpur Municipal Corporation. The plan comes against the backdrop of an ambitious government strategy for a mass shift to electric vehicles by 2030—one that aims to ensure all vehicles on Indian roads run on electric power. “We wanted to start the project early but there are some problems in setting up charging stations,” said the Minister. 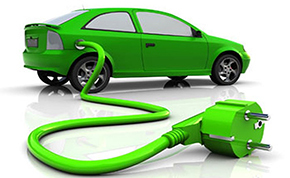 The government is working on creating infrastructure for electric vehicles such as charging stations, along with bringing down the cost of batteries by facilitating technology transfer.